Glacier Bay Frosted tree brings a fresh morning frost to any entryway. Works as a theme tree as well. 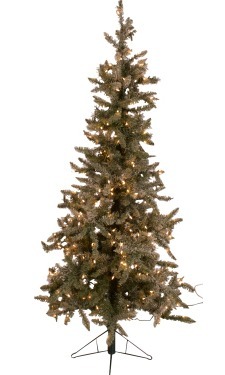 Features hinged construction, PVC frosted mixed needles, incandescent lights and a green metal stand.